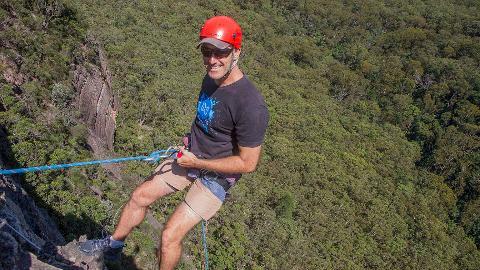 "Abseiling down the various heights was a very thrilling experience. It was my first time so I was even nervous at the 5 meter abseil. 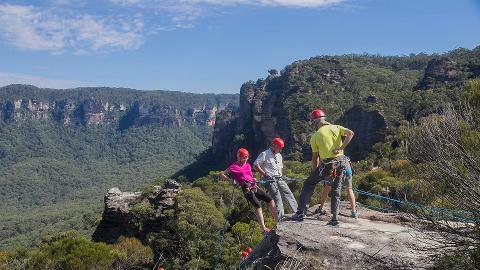 The staff were very friendly and helped me through the whole experience, now I am a lot more confident with heights and have a big soft spot for the Blue Mountains scenery!" 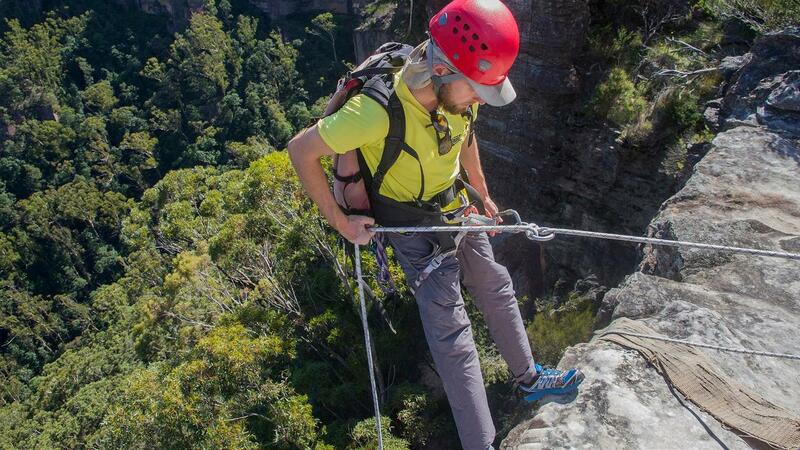 Your road to new adventure starts with this Abseiling day! Our one-day adventure abseiling course is designed for participants with little or no previous experience. Remember - "If you can walk, you can abseil!". 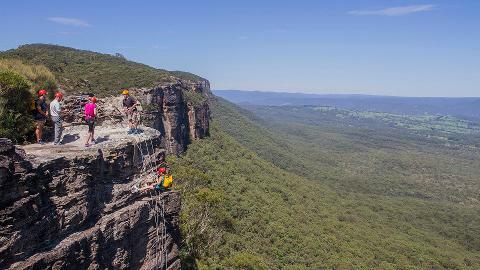 This experience is perfect for those looking to learn about Abseiling techniques- Or, if you just want to come out for the Adventure, that's fine too! Our professional team can help you learn new skills or just guide your adventure & ensure you have fun! We begin the day with a safety briefing and training session using practice abseils at our specially selected abseiling area. The subjects we cover include the fitting of harnesses and the use of descending devices, familiarisation with the important safety procedures and how to use the correct abseiling skills and techniques. The abseils at the practice area also offer a great opportunity for you to develop and work on your own individual abseiling style! While we place much emphasis on fun and adventure we will also teach you the important skills you’ll need to go abseiling in safety anywhere! After a filling mountain lunch we will head off to tackle a giant 60 meter cliff!